Alongside this year’s banquet-like Seafood Festival area (serving everything from lobster to king crab) and the wide array of favourite returning vendors offering everything from grilled squid to dragon’s beard candy, there are around 25 brand new food stalls to lure your adventurous taste buds this summer. From Vietnamese crepes to Korean-style fried chicken wings and from Filipino burritos to Taiwanese bao, this is a bumper year for new eats at the Night Market. 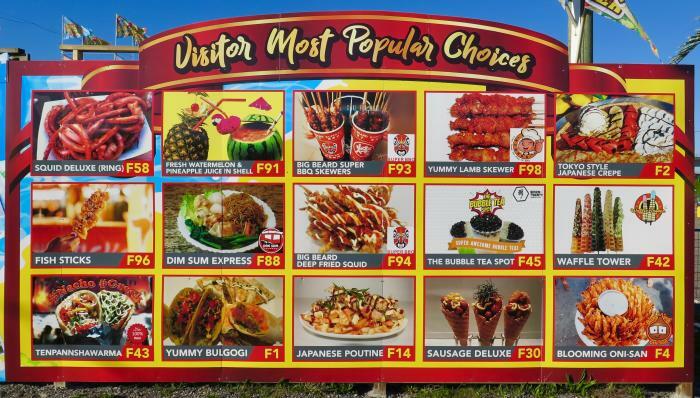 To make it easier, we’ve picked four must-try stalls for you to check out on your next visit. Just make sure you avoid lunch, slip into those stretchy pants, and dive right in. 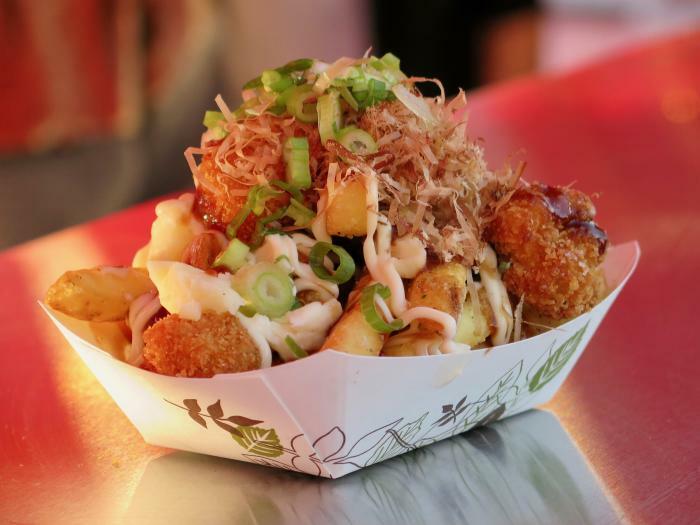 The ultimate fusion twist on what’s arguably Canada’s national dish, $8.50 will buy you a heaping tray of golden fries topped with breadcrumbed pork balls or succulent battered strips fashioned from soft squid and shrimp—all topped with tasty trimmings including chives and cheese curds. It’s the kind of dish you buy to share and then sneak back to later for your own solo serving. Verdict: a deliciously naughty mound of deep-fried goodness. 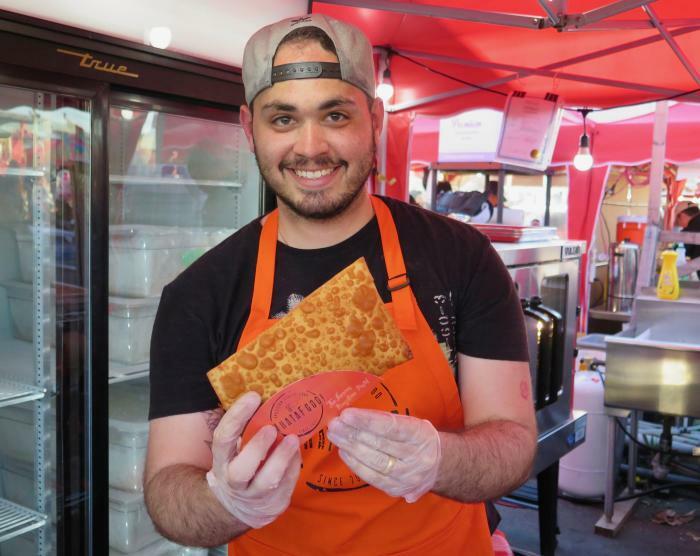 Possibly the friendliest folks at the market, the orange-clad staffers here have a lot to smile about: they’re introducing celebrated Brazilian comfort foods to a wide array of appreciative people for the first time. Expect to be converted to the joys of deep-fried pastel pastries (smoked pork variety recommended) plus bowls of soft, chewy cheese puffs that you could happily keep eating until you explode (with a satisfied grin on your face). Verdict: an addictive comfort food winner. Its neon-green wooden counter and red-checkered food trays echo the cheerful street food stands of Tijuana and beyond. But don’t be fooled: the highly tempting menu here is a unique roster of Asian–influenced Mexican dishes. The seaweed wonton chips and the deep-fried seaweed mozzarella sticks are perfect for sharing, but a satisfying crunchy serving of crispy wanton tacos is ideal when it’s time to have something all to yourself. Verdict: an irresistibly tasty fusion menu. Possibly the very best way you can eat strawberries, this inviting sweet-treat stand envelops its fresh red fruits in a thick, soft casing fashioned from rich, almost gooey, sticky rice paste. These traditional-style Japanese mochi balls come in four flavours: regular, matcha, chocolate and the beautifully-hued purple yam—which means you should probably try each one of them just be sure which is your favourite. Verdict: decadently satisfying dessert snack and the perfect way to eat more fruit. 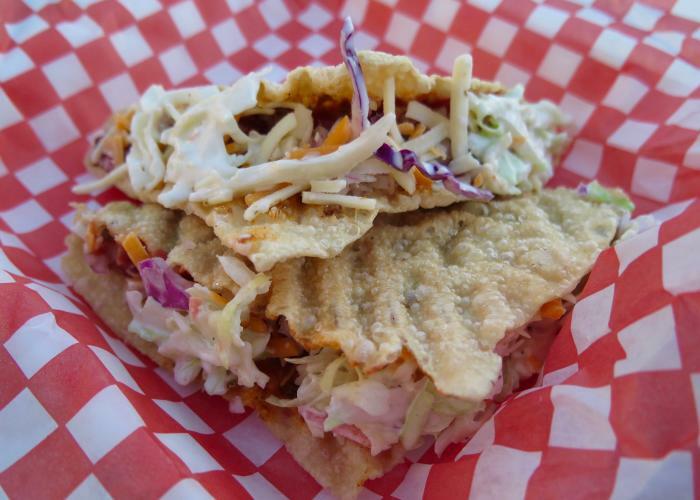 Richmond’s only night market is a short walk from the Canada Line’s Bridgeport Station. Admission is $4.25 (free for seniors and children 10 and under) but you can also purchase a six-entry, season-long transferable Zoom Pass for $25, enabling you to bypass admission queues via express entry.